…before going for a drink at the Salisbury Arms. 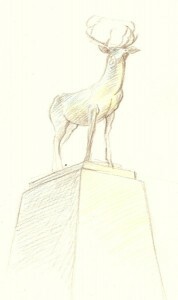 What really interested me most was the war memorial that stands in Parliament Square at the end of Fore Street. 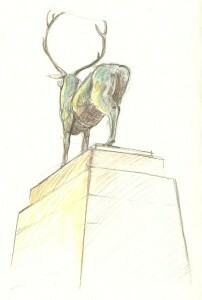 This is a tall stone plinth on which stands a magnificent bronze stag sculpted by Sir Edward Alfred Brisco Drury. This monument is surrounded by name panels commemorating those who died in World War I and World War II. 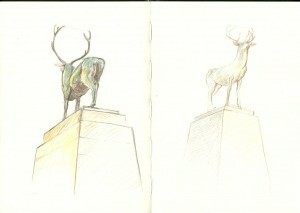 The second was drawn with coloured pencils without water.